Frances Elizabeth Caroline Willard was born September 28, 1839, in Churchville, New York. She lived there with her parents, Josiah Willard and Mary Thompson Hill Willard, and her older brother Oliver, until 1841 when the family moved to Oberlin, Ohio. In 1846 the family, with the addition of sister Mary, moved to southeastern Wisconsin to a farm near Janesville. Willard spent most of her childhood there. She was almost entirely educated at home by her mother, but did attend a one-room school for a short time and then Milwaukee Female College for one term. In 1858, at age 18, Willard moved with her family to Evanston to attend North Western Female College, a Methodist-affiliated secondary school. She graduated in 1859 and began a teaching career that included both one room schools in nearby towns and, as her reputation grew, more prestigious positions in secondary schools in Pennsylvania and New York. 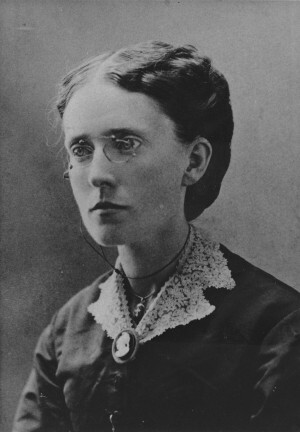 During this time she was engaged to Charles Henry Fowler, an Evanston resident and classmate of her brother, and later had a romance with a fellow teacher at Genessee College in New York. Neither relationship culminated in marriage, though, and Willard remained single throughout her life. In 1871 Willard became president of the newly formed Evanston College for Ladies. When this college merged with Northwestern University in 1873, Willard became the first Dean of Women of the Women’s College. In 1874, after months of disagreement with university President Charles Henry Fowler (her former fiancé) over her governance of the Women’s College, Willard resigned. That summer she began to pursue a new career in the fledgling woman’s temperance movement, traveling to the east coast and participating in one of the many crusades. When she returned to Evanston, she was asked to be president of the Chicago group supporting the crusades. In November 1874 Willard participated in the founding convention of the Woman’s Christian Temperance Union and was elected the first corresponding secretary of the WCTU. As such she was given the task of corresponding with and traveling to many of the small towns and cities in the United States, working to form local Unions and build support for the WCTU’s cause. In 1877 she met Anna Gordon and asked her to be her personal secretary. Gordon was a great help to Willard for the rest of her life, providing key organizational expertise as well as friendship. Willard worked hard during these early years to broaden the WCTU’s reform movement to include such things as woman’s suffrage, woman’s rights, education reforms and labor reforms. She later became an anti-lynching advocate as well. The support for this broader view of the WCTU’s reform work became clear when Willard was elected President of the WCTU in 1879. Under Willard’s leadership the WCTU grew to be the largest organization of women in the nineteenth century. She saw the WCTU both as a means for accomplishing societal reform and as a means for training women to accomplish this reform. She urged WCTU members to become involved in local and national politics, to advocate for the causes in which they believed, to make speeches, write letters, sign and distribute petitions, and do whatever they could (since they couldn’t vote) to create support for change. She also saw the WCTU as part of a wider reform movement, especially regarding issues of alcohol and woman’s suffrage, and created a broad network of friends and coworkers who advocated for the same reforms as she did. 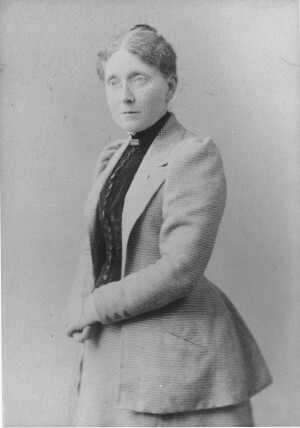 After her mother died in 1892, Willard began to suffer from increasing ill health and began to spend more time abroad, staying in England at the home of her friend Lady Isabel Somerset and working on founding of the World’s WCTU from there. Her absence from the United States raised questions about her ability to lead the National WCTU, but support for her leadership never entirely faded. Willard was by this time one of the most famous women in the world, and through her, the WCTU was able to mobilize women and gain the support of men for their causes. By this time the WCTU had a membership of 150,000 and was considered a powerful force in social reform. In late 1897, Willard’s health began to deteriorate rapidly. She went on a pilgrimage to her birthplace in Churchville, New York and her childhood home in Janesville, Wisconsin, and returned briefly to the house in Evanston. In February 1898, she was preparing to sail to England to stay with Lady Isabel Somerset when she fell ill with influenza in New York City. She died in the Empire Hotel on February 17, 1898, at the age of fifty-eight. Many were stunned by the suddenness of Willard’s death. Accolades from around the world poured in and Willard’s funeral in New York City, as well as the memorials held in towns between New York and Chicago, where her casket was returned for burial, were crowded with mourners. She lay in state in the WCTU headquarters building in downtown Chicago for one day and twenty thousand mourners paid their respects. After a ceremony in Evanston at the Methodist Church, her remains were cremated and her ashes were placed in her mother’s grave in Rosehill Cemetery in Chicago.